On this day Kelsang Dema will grant the blessing empowerment of Vajrasattva, the Buddha of purification, and explain how we can remove all negativities and obstacles from our mind. The blessing empowerment is in the morning, with a teaching and meditation in the afternoon. The cost of the day is £25 including lunch, drinks and biscuits. To book please email chenrezigepc@googlemail.com or see your class assistant after any meditation class. Everyone is welcome. 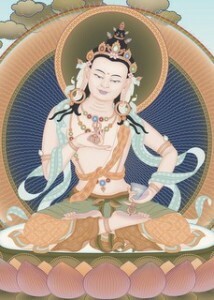 Meditation courses in Lancaster & Empowerment of Buddha Vajrasattva.